Anugrah Stock is a key player in the stock market with hundreds of Anugrah Stock Sub broker working under them across India. In this article, we have discussed all details of Anugrah Stock Sub Broker, Franchise, Business Partners, Remisier and Business Associates Review. Currently, Anugrah Stocks operates from 400 + and client base over 40,000 + business associates in India. Anugrah offers all the services online, where our clients can trade over the internet with flexibility of doing business anytime from anywhere. To provide the highest possible quality of service, Anugrah Stock provides full access, all products and services through their multi channels. Anugrah Capital is overall rated Good i.e. 2.5 out of 5 on Customer Ratings. Peoples are satisfied with Service and offers. The customer is satisfied with their online Internet Trading platform Anugrah e-Trade. Anugrah offers its customers a highly research-oriented service tailored to their needs, which gives customers a high level of satisfaction. Significant improvement is needed for customer support services. The company is one of the leading finance briefings, founded in 2003 and established by Mr. Paresh Kariya. Anugrah Stock Franchise has a large customer base of more than 40,000 and 400 + business associates in India. Its headquarter is located in Mumbai, Maharashtra. They are Full-Service type Broker with BSE, NSE, MCX, NCDEX, CDSL DP, Derivatives segments, Currency Derivatives, Corporate Finance, IPO, Bonds, Mutual Funds, Gold ETF, Insurance, Realty, Depository, and Online Trading. Anugrah services to its customers are highly research. They take 28 Days to activate SB code and 30 Days for Payout. Anugrah Powerbroker is a configuration that is an actual franchise Anugrah. In this operation, Anugrah provides its clients with a variety of services and ensures that they deliver them. The Franchise Broking House Program offers the subsidiary broker all kinds of support to grow their business in multiple directions. In Anugrah Stock Remisier is similar to any other Remisier business where the customer acts as a company agent. The objective of the Remisier is to obtain clients for Anugrah Stock and get their profits to share. In order for or ordered to active service, Franchise must provide the Commission. Anugrah Stock charge percent of shares from business partners. In this article, the percentage of share is mentioned. Sub Broker give a commission of a minimum 60% that extends to 75%. In Remisier Model it is required to provide 20% of the Commission. Deposing Security Deposit or Franchise Cost, the business partner can purchase the right to use services, products and support from Anugrah Stock Franchise. Sub Broker has to deposit Minimum Rs.50,000 to Rs.200,000 depends on the client base. Remisier has to deposit Rs.25,000 as Security Deposit. Anugrah Stock mentioned a few mandatory Infrastructure Requirements for Business partnership. Minimum office area premises of 100 Sq Ft is required. Fixed Telephone Line should be provided. Providing Research for trading, providing Internet Connection in premises and Trading Terminals is not mandatory to provide, it should be provided as required by clients. Sub brokers are not allowed to make a low cost or zero deposit. Initial deposit of Rs. 10,000 is not possible. Sharing of flats is permitted. No prepaid zero revenue share permitted by Anugrah capital. They provide high quality research for trading. Anugrah Stock provide support to Franchise are discussed in below table. Support for franchises includes the design and configuration of safety systems, marketing assistance, ongoing training and support of businesses. Anugrah Stock helps you plan every aspect of the business. Anugrah Stock Franchise helps franchises by supporting everything needs about business by providing Back-Office Support. 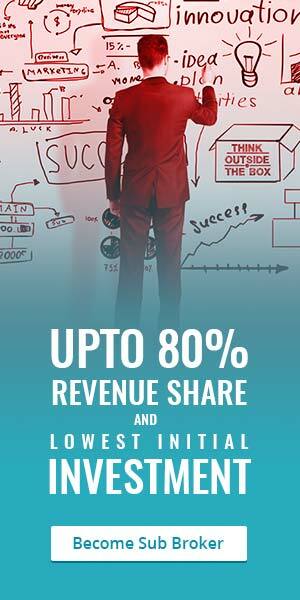 As per the table, Anugrah Stock Franchise Brokerage Charges to Clients are average. Equity Intraday is 0.1% to 0.4%. For customers to open the Demat account on Anugrah. Securities, Demat Account Opening fees are Rs. 250 per annum. AMC is free to open the AMC trading account. Open account charges Rs. 400 The minimum margin to be retained is from a low amount of Rs. 0 to Rs. 300,000. The fees for the transaction are 0.00325 percent. High-Quality Research is the main factor of attraction. Anugrah Stock Share Franchise charge very low brokerage amount. “Anu é Trade” is the trading platform comprehensive service for clients for online trading.